PGIMER Entrance Exam: PGI Chandigarh Entrance Exam 2019 like AIIMS, JIPMER and PGI Chandigarh Nursing Entrance Exam 2019, also does not fall under NEET-PG. The institute conducts its own entrance exam that serves as the gateway to the students to get admissions into postgraduate (PG) medical education. 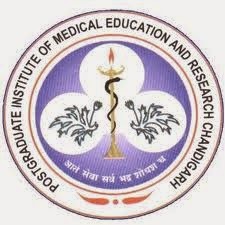 About PGIMER: Postgraduate Institute of Medical Education and Research (PGIMER), Chandigarh was established in 1962 with an objective of providing medical education of the highest standards in India. It has been declared as an "Institute of Importance" by an Act of Parliament and it was in the second position in the 2018 NIRF medical list. MD - Doctor of Medicine or MS - Master of Surgery. M.Sc./ M.Sc. MLT - Medical Lab Technology. DM/M.Ch. - Master in Chirurgical/Superspeciality in Hospital Administration. The admission through PGIMER Entrance Exam takes place in 2 sessions, in a year; once in January and the other in July every year. Latest News: Due to the clash of exam dates with Lok Sabha Election 2019, July session of PGIMER 2019 exam has now been postponed to 26th May 2019 from the previous date of 14th May 2019. Get more information about PGIMER 2019 Important Dates. Candidates must have an MBBS from a University or an Institution recognised by the Medical Council of India (MCI). Candidates must have either completed or in progress of completion of the compulsory rotatory internship training on or before December 31st 2018 for January session, and June 30th 2019 for July session. Candidates must be registered with the Central or State Medical Registration Council. Candidates must be a graduate in Bachelor of Dental Surgery (BDS) from Punjab University recognized by the Dental Council of India (DCI). Candidates must be registered with the Central or State Dental Council. Note: Candidates who have already finished House Job in any Hospital or an institute will not be eligible for House Job. Candidates should have completed MBBS or an equivalent from any University or an Institution recognised by the Medical Council of India (MCI). Candidates should have completed their degree on B.Sc. (Anatomy, Physiology, and Biochemistry) or B.V.Sc. or B. Pharma from an Institution recognised by the Government of India. Candidates should have completed B.Sc. in Medical Laboratory Technology or B.Sc.in Nursing or B.Sc. Medical or Bachelor of Physiotherapy from an Institution recognised by the Government of India. Candidates should have completed their graduation with a minimum of 55% aggregate. Note: Sponsored candidates are required to have a minimum of three years experience in their respective fields, after obtaining their degree. Candidates should have a degree in B.Sc. (Audiology and Speech Therapy) or Bachelor of Audiology and Speech-Language, or Pathology. Candidates should have completed their graduation with a minimum of 50% aggregate. Candidates should have completed a degree in MD / MS or an equivalent recognised by the Medical Council of India (MCI). Candidates should have completed MBBS from an institution recognised by the Medical Council of India (MCI). Candidates should have a minimum of 3 years of experience working in a hospital or 5 years of general practice. Candidates must hold a Certificate issued by District Magistrate in support of his/her general practice. Candidates of the general category should have secured a minimum of 55% aggregate, and candidates who belong to reserved categories should have secured a minimum of 50% aggregate in MBBS. The candidates should have registered with the Central or State Medical Registration Council. Get more information about PGIMER 2019 Eligibility Criteria. Application Date: PGIMER 2019 registration process for MD/MS starts from 17th March 2019 and the last date to apply is 17th April 2019. For PGIMER 2019 MD/MCh/MD Hospital Administration, the application process for July session is expected to start from the first week of April 2019. Registration Mode: The mode of registration or application for all the courses under PGIMER is online. Create a login: Candidates have to visit the official website and register themselves to create a profile, by providing the name, email id and password. To know more, visit the PGIMER 2019 Application Form Details. Go to the official website of PGIMER, follow PGIMER 2019 and read the instruction before clicking on "Apply Now". Fill in the name, mobile number and email ID to register and create a profile. After successful registration, the Login-id & password will be displayed on the screen and will also be sent to the candidates' registered email-id. Candidates have to provide personal details like the father's name, mother's name, spouse's name (if any), Date of Birth, Gender, Nationality, Marital status. Academic/education details such as Qualifying Exam, Qualifying Subject, Month and Year of Admission, Marks obtained & Maximum Marks and Institution passed from etc, also should be entered. Candidates now have to upload their scanned passport size photograph, signature, other necessary certificates, in JPEG format. The last step of the registration process is the payment of fees. The Application fee can be paid by credit card /debit card, net banking, I-collect Service/ Bank challan of SBI Bank. The bank challan should be duly filled in the name of "Director, PGIMER, Chandigarh", in Power Jyoti Account. Get more information regarding PGIMER 2019 Application Process. Sessions: PGI Entrance Exam takes place in 2 sessions, in a year; once in January and the other in July every year. For July session the exam takes place in June and for January session it takes place in December. Mode: PGIMER 2019 will be an offline or pen and paper-based test. Type: The paper is objective in nature i.e. it contains multiple choice questions (MCQs), where candidates have to choose a single correct answer out of 4 choices. Marking Scheme: There will be a deduction of marks for incorrect answers. Medium: The paper will only be in the English language. The question paper consists of 250 multiple choice questions. The syllabus will mainly include the topics that candidates have already learnt in MBBS like Preclinical, Para-clinical and Clinical. Candidates are required to complete the exam in 3 hours. Each correct answer will be awarded one full marks. Candidates will lose marks if he/she chooses the wrong answer choice. The question paper will consist of 100 multiple choice questions. The duration of the test will be 1 hour 30 minutes. The candidates have to choose a single correct answer out of 4 given choices. Candidates will lose marks if he/she chooses the wrong answer. Candidates will have to appear for a written test that contains 50 MCQs. Maximum marks awarded will be 100. There will be negative marking to the tune of 0.25 marks for each wrong answer in the theory paper. The theory exam will consist of a paper with two parts (Part 1 – General, and Part 2 – Specialty), each with 40 marks. Part 1 consists of 40 multiple choice questions of MBBS level, each with four options and a single most appropriate response. Part 2 of the paper will consist of 40 multiple choice questions related to Hospital Administration, each with five options and single/multiple correct response(s). Incorrect responses will, however, be negatively marked in Part 2 but not in Part 1. Get to know more about PGIMER 2019 Exam Pattern. Radio Therapy, General Surgery, Otorhinolaryngology, Ophthalmology, Orthopaedics. Get to know more about PGIMER 2019 Syllabus. Admit Card will be available for download to all the eligible candidates. Candidates can download the admit card/hall ticket 15 days before the day of the examination. Candidates are required to log in to PGIMER website to download the admit card. Login credentials such as Login Id and Password will be required to view and download the admit card. The admit card will contain the roll number of the candidate, date and time of the exam, venue of the exam and other instructions. Note: The admit card or details regarding the roll number will not be sent through any other means to candidates. Get more information about PGIMER 2019 Admit Card. Candidates who score the higher scores will get the higher ranks in PGIMER (commonly known by the name PGI Chandigarh Entrance Exam 2019). The same criteria apply to the PGI Nursing Entrance Exam 2019. In the case of two candidates securing the same score, the rank will be given to the one who is senior in age. The minimum qualifying percentile for the candidates who belong to different categories is tabulated below. Results for MDS/ House Job will be available in the form of a merit list. In addition to the category-wise merit list, a general merit list will also be prepared. A candidate who has obtained higher aggregate marks in BDS examination shall rank higher to a candidate who has obtained lower marks. OR if the aggregate marks obtained in BDS examination are the same, then a candidate senior in age shall rank higher to a candidate who is junior in age. Note: However, for the final selection, the candidates are required to obtain minimum 60% marks for general category and 55% marks for SC/ST. Get to know more about PGIMER 2019 Results. Candidates who qualify the written exam will have to go through a personal counselling. In order to participate in the counselling, the candidates will have to fulfil the cutoff points set by the conducting authority. Candidates who are absent on the day of the counselling will not be reconsidered in any circumstance. Any candidate who does not get the subject of his/her choice in the first and second round of counselling can also attend the third and fourth rounds to get the preferred subject. Candidates will not have to pay any extra fee to appear for the multiple rounds of counselling. Get to know more about PGIMER 2019 Counselling. Address: Dr Biman Saika, Officer-Incharge Website, PGIMER, Sector-12, Chandigarh, Pincode - 160 012, India.